Michael Griffith began writing poetry to help his mind and spirit become healthy as his body recovered from a life-changing injury. 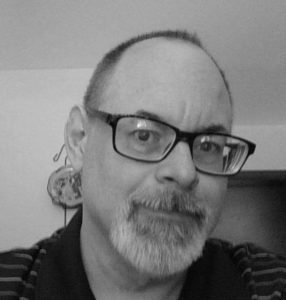 His works have recently appeared both online and in print in The Good Men Project, Ariel Chart, Stanzic Stylings, Degenerate Literature, NY Literary Magazine, and Wild Words. He teaches and resides near Princeton, NJ. This entry was posted in Michael Griffith and tagged Her eyes own me­, Michael Griffith, Outlaw Poetry, Poetry by Monsieur K.. Bookmark the permalink.